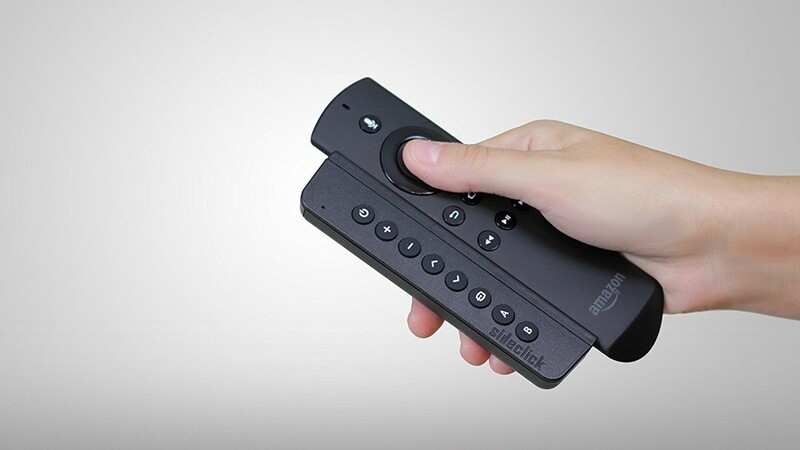 Sideclick Remote: This ingenious remote has to be! Auf most coffee tables accumulate a lot of remote controls - for the TV, the stereo, the sound bar and increasingly for the streaming box. The sideclick remote ensures more order. It is docked to the Fire TV remote control from Amazon and offers additional functions to control the TV, soundbar or other devices. Sideclick Remote consists of a small button bar, which is clicked on the remote control of the Fire TV. Via infrared, Sideclick learns the most important commands, such as volume control or switching. If this is done, the remote controls for TV & Co. can disappear in the drawer. The Sideclick Remote costs approximately 25 US dollars, was successfully funded through a kickstarter campaign and is now available via Amazon - unfortunately, but currently only via the US shop. The shipped however against surcharge world-wide and thus also to Germany.